WiFi? Pfft. That’s old news. 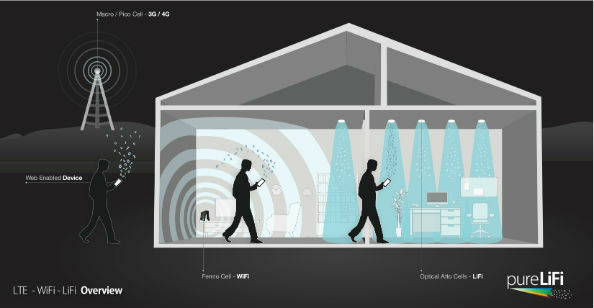 It’s all about LiFi now, which is so much incredibly faster it makes humble WiFi look silly. Oh, and Dubai is going to be the first city in the world to get it (and it will first be transmitted through the city’s streetlights). Light Fidelity, or LiFi for short, has real world download speeds of multiple gigabytes per second. In laboratory settings, the speed was even more impressive, hitting a whopping 224GB per second. When are we getting it? Staying true to its ‘Smart City’ plan, Dubai is the first place where LiFi is being tested on a large scale. UAE-based tech company Zero 1 have partnered up with du to roll out LiFi in Silicon Oasis by the end of 2016. The coolest bit about the LiFi that will be rolled out in Silicon Oasis this year? It will be transmitted through streetlights. LiFi is also significantly cheaper than WiFi, but the pricing of LiFi in Dubai will be up to the service provider – du. 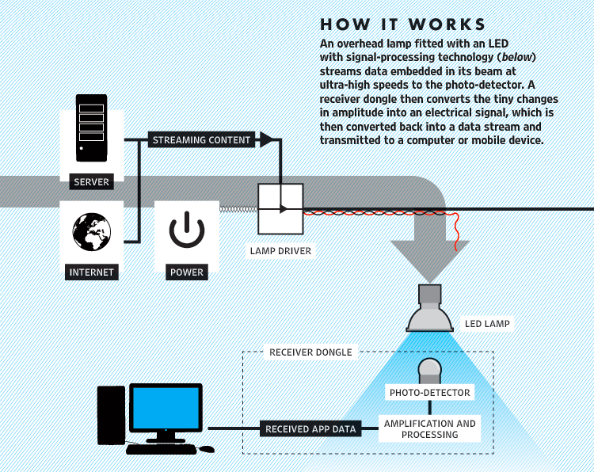 Where our current WiFi stems from radio waves, LiFi transmits data through LED light bulbs. With visible light, LiFi is able to transmit information at seriously high speeds. Using a photo-detector, light signals are received, and then converted into ‘streamable’ content. All of this is naked to the human eye. To put it more simply, data is fed into an LED light bulb, which can then transmit it through its beam at rapid speeds into a photo-detector, providing you with Internet. LED lightbulbs, or in this case our streetlamps, can be potentially converted into a wireless router just by adding a small microchip. It’s even more secure than WiFi, because light (therefore your connection) can’t permeate walls – meaning potential hackers are unable to access your session. The latest crop of smartphones are LiFi enabled, and can connect through the use of their camera sensors. Older models and non-LiFi enabled products will have to use a dongle until LiFi connectivity comes pre-equipped in devices. The LiFi industry is estimated to be worth around Dhs300 billion by 2021.